I have a little treat for you today! 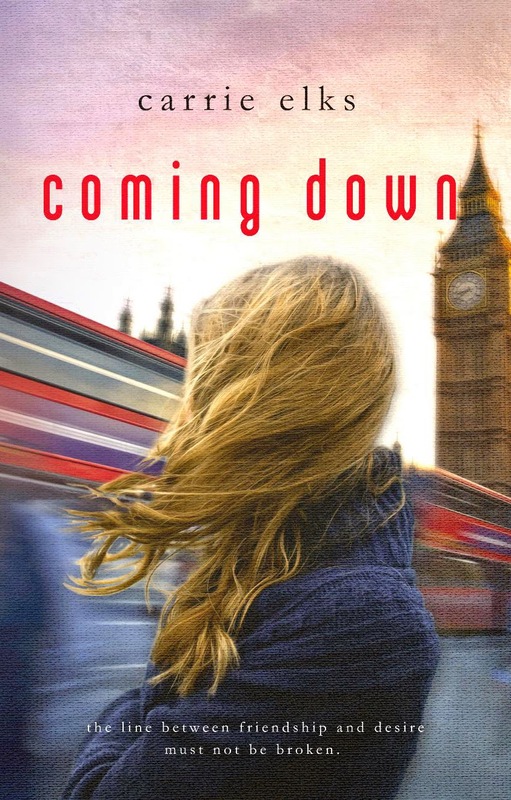 It's the cover reveal for Coming Down, the upcoming release by author Carrie Elks. Carrie Elks lives near London, England (one of my favourite places!) and writes contemporary romance with a dash of intrigue. At the age of twenty-one she left college with a political science degree, a healthy overdraft and a soon-to-be husband. She loves to travel and meet new people, and has lived in the USA and Switzerland, as well as the UK. An avid social networker, she tries to limit her Facebook and Twitter time to stolen moments between writing chapters. When she isn’t reading or writing, she can usually be found baking, drinking wine or working out how to combine the two. She is my kinda gal!